Barbara Miller Music is a premier music studio serving Upper Township, Cape May County, Cape May Court House, Avalon, and other nearby communities. With a Music degree and over 20 years of experience, Barbara teaches students of all ages using proven, revolutionary methods: Piano Safari and Simply Music. Piano Safari incorporate the best elements of the various teaching techniques in one. It combines technical exercises and rote pieces created after study successful pre-college music teachers. Simply Music is a revolutionary, Australian-developed piano learning method that has students playing great-sounding contemporary, classical, gospel, blues and accompaniment pieces – immediately – from their very first lessons! Simply Music is based on the premise that all human beings are naturally musical. Barbara Miller Music studio offers unique music programs that consistently produces the best results and is also fun for students. 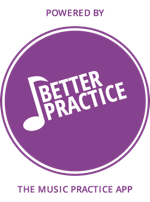 Not only will students be able to play from the very first lesson, they will develop a large repertoire of songs that they can play anywhere. Barbara Miller cannot remember a time in her life when music was not a source of joy and inspiration. Barbara started playing the piano around the age of 5. “Growing up in a small town in Lancaster County, PA in the 60’s, if I wasn’t outside playing with friends, I was playing the piano and singing. By high school, I found myself in demand as an accompanist”. This led to about a decade of deep involvement with studying and playing the pipe organ. Although Barbara began college as an English major, she switched to Music Education and Organ after only one semester. Singing in choirs, accompanying, and preparing for private lessons left just enough time for studying!